This April I attended my first AISL Conference in Atlanta, Georgia. From the moment I boarded the plane in Denver, Colorado I knew I was in for a life changing experience. As one colleague described it, it is like discovering a “field of unicorns”! She was spot on! From the very start, I was immediately welcomed with open arms from fellow unicorns across the country. Within minutes, I was engaged in conversations that made my heart leap with joy! As a solo librarian in a Pre-K- 8th school, it is not often that I find a willing victim who allows me to carry on about cataloging, MLA citations, intellectual freedom, and my endless obsession with Judith Krug! But not here, here I was home. The conference included several tours of campuses in the Atlanta area and one very powerful visit to the Museum of Human and Civil Rights. The opportunity to visit other libraries was particularly inspiring for me. As librarians, we are constantly facing change in our profession. Our libraries are as unique as our patrons and our spaces are constantly evolving to reflect these changes. That being said, the ability to have such a strong network of professionals with a growth mindset really sets our profession apart. I felt the workshops provided not only were educational and inspiring, but a reminder of the endless and creative ways in which libraries can extend their reach in independent schools. The opportunity to share best practices with other librarians was probably the most significant takeaway for me. It is not often in this profession that you have the chance to talk “shop” and this time was priceless. AISL did not disappoint with the delicious catered meals and a grand finale SKIP Banquet. These perks however were just a backdrop to the lifelong connections I made with new friends and colleagues. This group of professionals is hands-down the most supportive and inspiring yet. The entire experience was invaluable and you can bet I will be in Boston in 2019!! The goal of this year’s theme Making Connections was surely met! Thank you AISL! Inquiry through Interview: What is the news supposed to do? Guest post by Chris Young. A version of this post originally appeared in January on my blog, The Cardigan Papers. I often wonder if middle and high school students are as concerned about the integrity of the news media as we adults are. Do young people know why the grown-ups (or school librarians, at least) have recently become so bent out of shape about fake news, media bias, filter bubbles, and viral rumors? Do our students spend much time thinking about the fourth estate’s role in our democracy? Some certainly do, but I know I didn’t at their age. If students don’t appreciate what the real news is supposed to do, do they see any reason to worry about fake news? 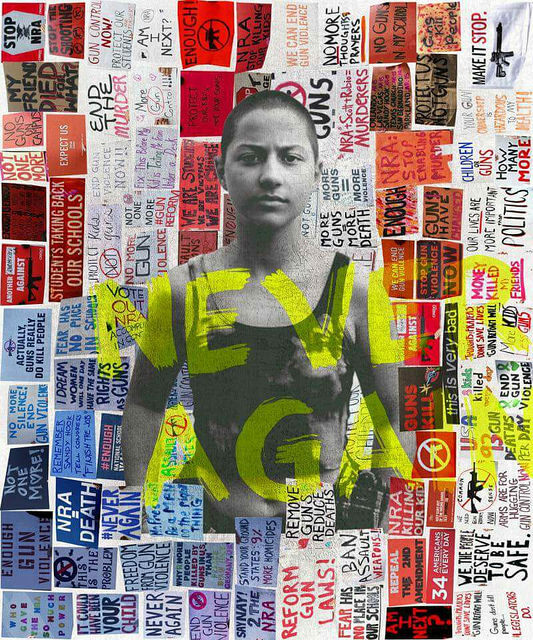 I thought it would be interesting if the seventh grade students in my semester-long library class had a conversation about the news with their parents. Maybe a conversation with a trusted role model at home would help put future news literacy lessons into context for students. I also like any kind of assignment that gets kids interacting with family members. So I asked my students to record an interview with a parent or older family member asking their opinions about the news media. What is the news supposed to do? 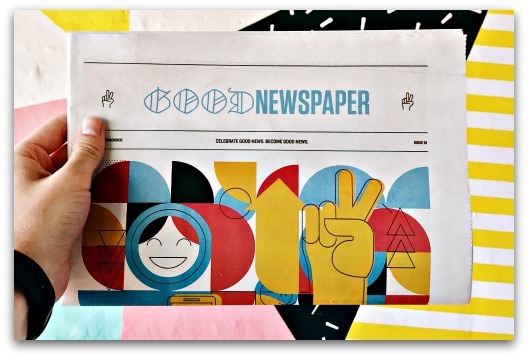 What should an audience expect from a news source? At its best, the news media can . . .
At its worst, the news media can . . . I emailed parents to explain the purpose of the assignment and let them know that participation was voluntary. After the interview was recorded, parents were asked to email the audio file to my work address, noting whether or not I had permission to share their recording with the class. The individual interviews were fantastic. Students did a great job with mic placement and recording and it was wonderful to hear parents give such thoughtful, measured responses about a contentious topic. I was so pleased with the interviews that I decided to take the project a step further and weave the responses together into a short podcast à la This American Life or StoryCorps. 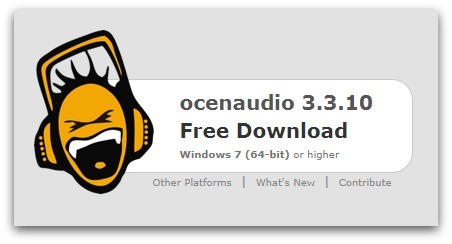 Ocenaudio makes audio editing easy for beginners. I like the idea that students and parents dedicated a few minutes to having this conversation about the news media’s role in our democracy. I also like that students are taking steps toward being journalists themselves. How much more fun would it be to get students to write their own interview questions and edit their own audio? The tools are simple and readily available and my students will figure out how to use them faster than I can. They will, however, still need guidance in setting standards for ethical journalism and responsible media production. I love imagining what producing authentic, quality news pieces could teach students about consuming news. More than anything, this assignment was super fun. The class got a kick out of hearing the montage whether or not they submitted audio. I loved playing around with tools and a form that were new to me. And the positive PR generated for the library program by sharing the final podcast was, as we say in New Orleans, lagniappe. The Board Book Social has been a key component of the annual AISL conference for a number of years now. I have to admit that when the initial gathering was announced and the preparations were being put in place, I had no plans to attend as I thought there would be discussion of books enjoyed by toddlers (Board Books!) Of course, eventually I came to understand the social as a great opportunity to discuss books of professional reading in a relaxed setting with colleagues. There was always lovely food and liquid refreshments as well. Many of the conversations and much of the networking that has taken place at these events has been beneficial to the attendees. In recent years, though, the members of our AISL Board have noticed somewhat of a downturn in participation. This seems like the right time to explore a new direction for book selection and for the social. Initially, one title was selected by the board members for discussion at the social. Later the line-up expanded to two titles with attendees choosing to read and discuss either. All of the titles selected to date have focused on topics of interest to information professionals, especially those engaged in working with young people, and the membership at large has been canvassed for suggestions. This year, we would like to propose a bit of a change. The idea is to expand the scope of the selected title or titles to include trending fiction and non-fiction titles of interest to librarians working with any level of students. In the interest of evolution, we are reaching out to you, the membership, and especially those who will be in attendance at AISL in Atlanta in April. We ask that you submit titles for consideration. In so doing, you would also be expressing your willingness to lead discussion of that book. Once we have received a healthy number of submissions, we will poll the conference registrants to gauge interest. With this design we hope to offer opportunities for discussion that would be engaging for all. The social will continue to feature light appetizers and beverages. We hope that the submissions run the gamut from serious professional development titles to interesting non-fiction to up-and-coming fiction so that everyone can find a title to their liking. This event offers a wonderful opportunity to mingle with and get to know other conference attendees in a relaxed setting. If this piques your interest you can submit a title to Board member, Renee Chevallier at rchevallier@ursulinedallas.org. The Board Book Social itself will take place on Wednesday evening following the events of the day. We aim to make this a must-do at the conference! The AISL listserv recently had a discussion of reading preferences, digital vs print, and someone asked about student practices. I was able to zip over, open a file, and respond that our students have shown a steady preference for print, particularly for leisure reading: 71% prefer print, 8% prefer digital, and 21% don’t care about format. For research, 50% prefer print, 15% prefer digital, and 35% don’t care about format. These ratios have been fairly stable over the past several years. I had those numbers at my fingertips is because those questions have been included on our annual student survey for the past 5 years. An annual survey is a challenging tool. It’s tricky to build, and arguably trickier to interpret, but it can provide supporting information to help craft your curriculum in the most useful direction, or to make an iron-clad case for a much-needed capital improvement project. We use SurveyMonkey to create our surveys. Our school has a subscription so we’re able to incorporate useful ‘advanced’ elements like Logic, which allows respondents to be routed to different sections depending on how they answer multiple choice questions. Our 2017 survey was sent out last May 16. We sent the survey out via all student email, following that up with a reminder on the 22nd. This year we had 339 responses, out of an Upper School population of 970. The number of respondents fluctuates yearly, and we’re always trying to increase the number. In 2013 we had 260 responses, in 2014 we had 382, and in 2015 we had the highest number of responses ever with 474. That number has been dropping again. I’m thinking adding a (candy?) reward for those who fill out the survey may bring more responses. It’s clear we also need to work on our promotion of the survey. There is always need to achieve a balance between creating a survey that is comprehensive and one that is brief enough to be quickly completed. Our most recent survey had 27 questions divided into 3 different sections (or ‘pages’ in SurveyMonkey lingo). I’m not confident in our arrangement of pages, but here’s how we do it for now. * Library Resources asks if students have skills required to effectively search a database such as JSTOR or ProQuest: (yes, no, sort of and a box for “please explain”), how easy or hard was it to manage citations, do students buy books for research (and if so, why? ), do students prefer print or digital, and have students ever taken a book out without checking it out (and if so, why?). *Recreational Reading explores whether students use library materials for leisure reading, which format is preferred, and if students were aware the library had various materials available. This section also has a box for “any suggestions for books, magazines or other resources”, as well as a box for “anything else you’d like to comment on not covered in the survey”. As I look at it now, I can see a number of changes we may incorporate for our next survey. For one thing, by naming these pages in this way we may be causing students to alter their progression through the survey. By calling the last section “Recreational Reading” we may inadvertently lead students to quit early, thinking they don’t do anything called “Recreational Reading”, so they don’t need to continue. Each year I comb through the survey results for useful data. It’s important to be consistent with some questions because then you can compare responses from year to year. If you alter your questions too dramatically, you lose the ability to gauge changes over time. Like other librarians, we hope to provide a positive UX: User Experience. Many survey questions reflect how students interact with library staff. With one question, we were noticing a reduction in the number of students who would ask librarians for help from year to year. My first reflex reaction was that we must be scary librarians and don’t encourage return business. Then I noticed the following answer in a ‘tell us more’ box: “During one of our history classes, a librarian came in and told us how to use the catalog and datbases, so I did not have to ask for help”. A carefully crafted survey will help tease out reasons for the answers students give. Another caution: before wigging out at one specific negative response, look at the numbers. Even though 339 responded to the survey, it might be that only 8 people answered a question. Data may show that 25% of students don’t like a particular thing, but if only 8 students answered that question, and 2 didn’t like that thing, then that would account for a 25% negative response. A few points of action come to mind as I reflect on our surveys. When we started seeing student comments mentioning discrepancies between teachers’ instructions and librarians’, I knew I needed to touch base with the team leader to clarify where we may have strayed apart in our presentations. It turned out that a new teacher had not been managing things the same way as the other teachers. Another important point came from a question asking whether students felt they could successfully search a database. This number responding ‘yes’ was lower for Sophomores, higher for Juniors, and – surprise—lower again for Seniors. Looking at this facet of the survey, it makes perfect sense. We teach information literacy to our Sophomores and Juniors, but we don’t teach Seniors, in large part because many teachers assume (falsely, it seems) that Seniors ‘know this stuff’. We can use these details as support for adding Seniors to our curriculum. On a practical note, last year’s survey indicated many students wanted more soft seating, so we got 2 additional beanbag chairs. They’re a big hit. We also had students asking for more carrels. No, we didn’t go out and buy more carrels, but we are more aware that they are a valued commodity, so we patrol more often and keep students from ‘claiming’ a carrel as their own private territory between classes. Each year I learn more about our library, our program, our strengths and our challenges. It is important to have a staff meeting to discuss the survey soon after it is complete to take note of how the survey worked ‘this year’, discussing about how it might be changed for next year. A final piece of advice: never ever send a survey out on a Friday. Ever! Our survey is one of the most important tools we have to help improve our library. Do you have a survey you find useful? Please share it here. I’ve included a link to the questions on our 2017 survey. Let me know what you think. 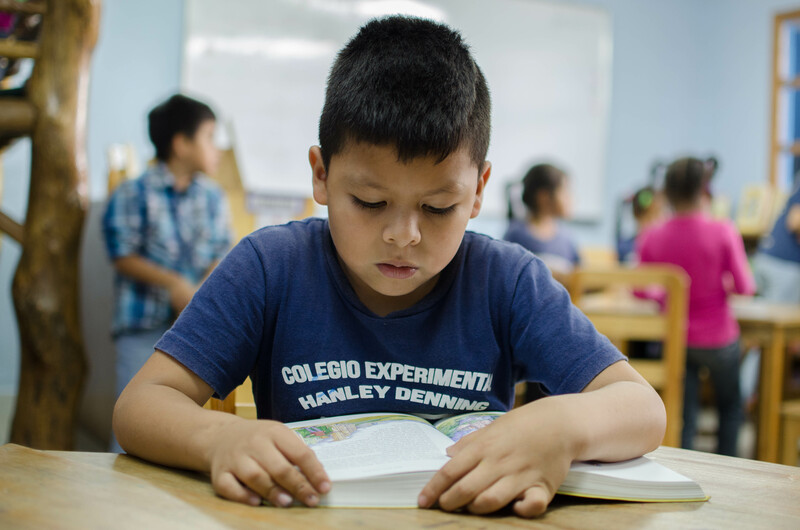 In this second part of our two-part blog series on Guatemala, we will share with you another organization that needs your help, as well as an excellent programmatic opportunity for your schools related to Guatemala…Thanks for reading! 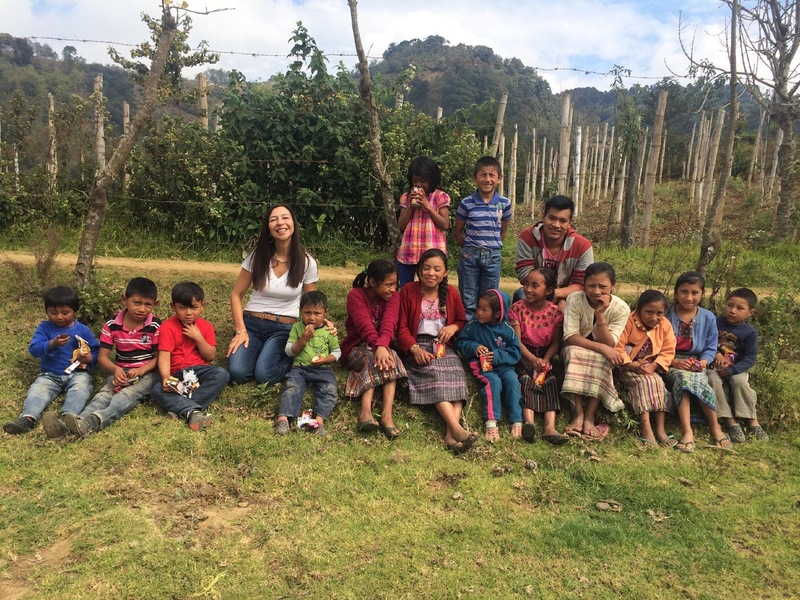 Numerous non-profit initiatives sprang up throughout Guatemala after the civil war. Some, like Safe Passage (discussed in Part 1 of this series), were started by visitors and activists from other nations, while others are home-grown. One such example of a grassroots foundation is Fundacione Corazones Libres (FUNCOLI)--or the Free Hearts Foundation. In the mountainous region just beyond the city of Antigua lie the Vuelta Grande, Agua Colorada, and La Cumbre communities. 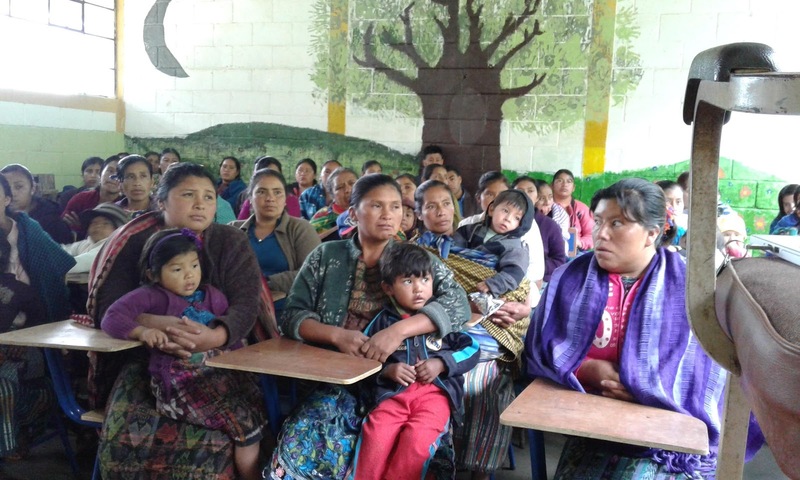 FUNCOLI serves over 200 families in these communities which are largely Mayan and subsistence farmers. Because the areas are quite isolated, education and health services are not accessible. FUNCOLI’s mission is to “provide health services, education and local development to people of limited resources, with the aim of promoting empowerment and economic growth in these communities”. FUNCOLI’s Learning Center now serves 28 children between the ages of 4 and 12. Students attend daily classes, receive a nourishing meal, and participate in art workshops. At the medical and dental clinics, adults and children receive free medicine and consultations twice a month on Sunday mornings. Additionally, FUNCOLI has provided motivational workshops for adults, donations of eco water filters, and support for local community leaders’ negotiations with the Municipality of Antigua in an effort to obtain potable water. While staying in Vuelta Grande, we happened upon FUNCOLI quite by accident. Unbeknownst to us, Ingrid, the proprietress of the guest cottage we were renting, is one of the founders of the organization. FUNCOLI’s learning centers and medical clinic were a short walk from the cottage. During our stay at the cottage, we were given a tour of their learning center and the medical clinic. FUNCOLI’s facilities are modest. It is touching to see how much love and thoughtfulness are being put into these spaces with very limited resources. Over the next two years, FUNCOLI is aiming to expand their workshops for adults in areas such as literacy, carpentry, sewing, crop cultivation, cooking, clothing design and plumbing, in addition to constructing or improving upon the learning center facilities (bathroom, kitchen, cafeteria, storage area). Just recently, the Learning Center received donated computers for providing computer classes to both children and adults. The computers are stored, somewhat insecurely, at the foundation. Due to the isolation of the foundation’s location, they need to install a chain link fence and lighting for security. Installation of the chain link fence is estimated to be approximately $7,500. FUNCOLI is also in need of providing all-weather driving access to the foundation, and for local farmers for the purpose of working their fields and extracting their harvest of flowers and vegetables. The intense rains common to Guatemala wash out the road and make it impossible for vehicles to extract the harvest. Construction and expansion of the Foundation has been greatly limited due to the inability of receiving construction materials. Construction costs associated with improved road access are estimated to be approximately $5,000. We all know that building awareness in our students can lead to inspiring positive action. 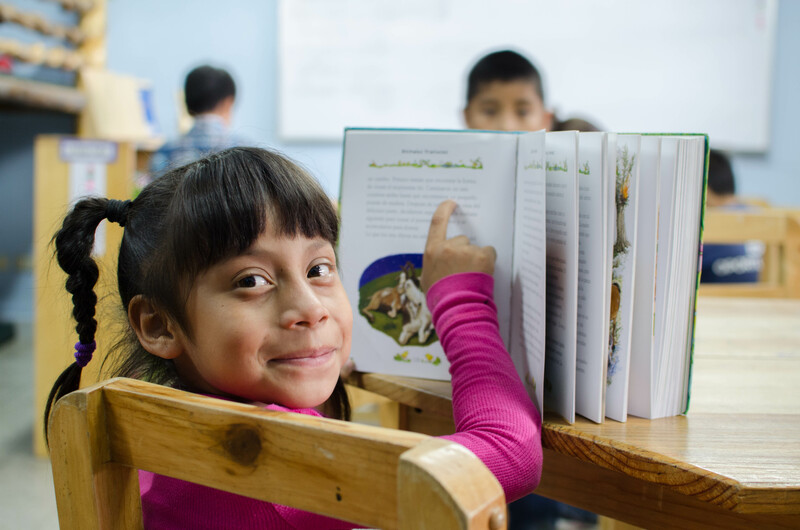 If you are looking to educate students at your school about Guatemala, then look no further! My (Laura) first real entry into gaining an understanding of Guatemalan culture was a documentary film. In the Fall of 2014, tipped off by more than a little hype, a colleague and I watched the documentary, Living On One Dollar, a film chronicling the experiences of several college seniors who conducted an experiment whereby they farmed radishes and lived in rural Guatemala on one dollar a day. The filmmakers endured sickness, hunger, and fatigue to generate awareness about what it is like to live in poverty in the developing world. This experiment spun off into the Change Series, a 6 episode series about six issues that Guatemalans living in extreme poverty confront every day complete with ancillary multimedia resources and a curriculum packet. After viewing the film, we subsequently rushed to book one of the project’s central creators and speakers, Chris Temple. Anyone interested in helping young people understand the realities and challenges faced by the poor of the developing world would do very well to have Chris visit their school. He is a charismatic, engaging speaker who connects with young adults in an effervescent way. Most importantly, he inspires empathy from his audiences. Living On One Dollar sparked an outpouring of donations from viewers raising over $750,000 for education and micro-finance work for the village featured in the film. Chris and his collaborators are still active with their work in Guatemala, but have since branched out to explore and understand the Syrian refugee crisis. They were the first embedded filmmakers to live inside a refugee camp, where their second film, Salam Neighbor was filmed. The film led to the dynamic web collaboration between Chris, Google, and the UN: Searching for Syria. Both Living on One Dollar and Salam Neighbor are on Netflix. I encourage you to check them out! 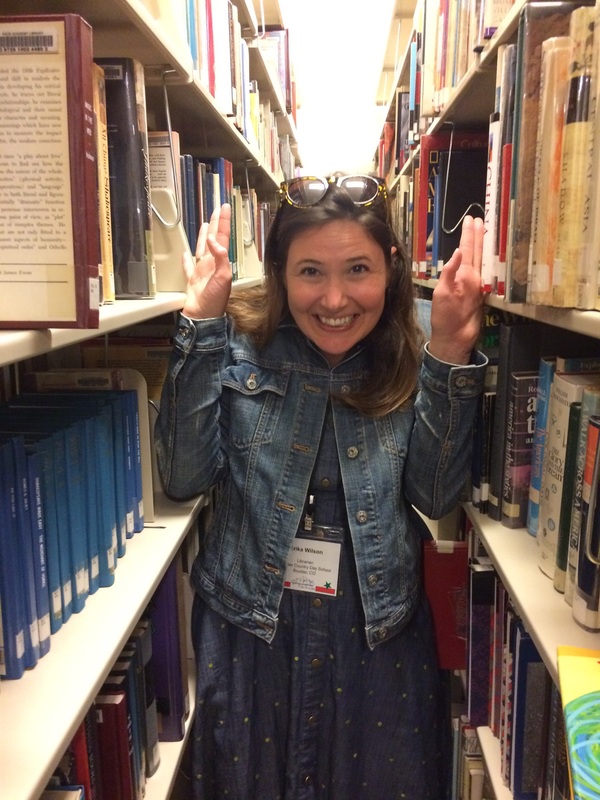 Laura Bishop has been “librarian-ing” for thirteen years now. Previously she was a Senior Children’s Librarian for The New York Public Library, and the Middle and Upper School Librarian at Léman Manhattan Prep. Laura is currently in her fourth year as the Director of the Library and Media Center of The Hun School of Princeton, where she is fortunate to activate her passions for social justice, travel, and cultural competency work through the Cultural Competency Committee, advisement of the gender equity group, and chaperoning global immersion trips abroad. Maria Falgoust is the librarian at the International School of Brooklyn (ISB), a Nursery–8th grade independent school in Carroll Gardens, Brooklyn, New York. ISB offers French and Spanish language immersion programs as well as an International Baccalaureate curriculum, which is reflected in their multilingual library collection. Prior to ISB, Maria worked at The American Overseas School of Rome (AOSR) and Saint Ann’s in Brooklyn Heights, NY. She is serving as vice president of the Hudson Valley Library Association (HVLA) for a second term, is an organizer of the Building Bridges Through Books book club through the Human Rights Pen Pal organization, and is on the planning committee for NYSAIS Education and Information Technology Conference. In order to understand the needs and present conditions of Guatemalan society, it is important to take a look back at their history and understand the forces most strongly affecting the country today. 2016 marked the twentieth anniversary of the end of Guatemala’s 36 year civil war. The war began in 1960 with a rebellion that attempted to overthrow the military regime; this regime was installed with help from the CIA six years earlier when it assisted with the overthrow of Guatemala’s democratically elected president who wished to implement land reform largely benefitting the indigenous populations, while compromising the interests of private corporations including that of the United Fruit Company, an American corporation. The conflict disproportionately affected indigenous populations who made up the majority of the over 200,000 killed or “disappeared”. Along with Honduras and El Salvador, Guatemala completes what has been termed the “Northern Triangle Countries”. Maras, or gangs, are responsible for the vast majority of violent crimes and extortions which plague the country today. Large numbers of Guatemalans have been fleeing their homeland for fear of forced gang initiation, violent crime, extortion, and an overall lack of economic opportunity, including a large number of unaccompanied youth. This number of asylum seekers from the Northern Triangle spiked dramatically between 2000 and 2015. In 2000, the number of people born in those countries was reported at 1.5 million, with that number jumping in 2013 to a reported 2.7 million. In Guatemala, efforts such as the “Sweep Up” plan have resulted in mass incarceration of gang members, but this has not stemmed the tide of the high incidence of extortion (considered the central source of gang sustenance) since a staggering 80% of extortions are believed to be “commanded” from within the prisons of that country. The heavy fortifications in some Guatemala City neighborhoods–security checkpoints to enter, and locked, high metal walls barricading the facades of many of the buildings within the neighborhood–stand as a testament to the high rates of crime and increased fear of gangs over the past twenty years. While numerous crime statistics continue to place Guatemala as one of the countries with the highest rate of violent crime, recent homicide statistics demonstrate a downward trend and provide hope. In addition, Human Rights Watch notes that the Guatemalan government is making progress with prosecuting human rights and corruption cases. Together Guatemala’s Attorney General and the UN-backed International Commission against Impunity in Guatemala (CICIG), have made important strides in bringing perpetrators of genocide and crimes against humanity during the civil war period to justice. Included in these was the court convictions of two former military officers for sexual violence and domestic and sexual slavery against 15 Maya Q’eqchi’ women. According to Human Rights Watch, this was the first time the Guatemalan courts tried a case of sexual violence related to the civil war conflict. The CICG–which receives substantial funding from the U.S–has also played a pivotal role in investigating and exposing corruption. One of the most high profile cases being the million dollar tax fraud case involving the country’s then president, Otto Pérez Molina, and led to his arrest and resignation in the fall of 2015. The Obama administration earmarked $750 million for the Alliance for Prosperity plan for FY 2016. The guiding principle behind the plan is to address the root causes for mass emigration from the Northern Triangle countries, and thus reduce the numbers of undocumented immigrants coming the the U.S. It is subsidized by the foreign aid the U.S. gives to the region and seen by proponents, which include Secretary of State, Rex Tillerson, as a long term solution. Guatemala is a beautiful, accessible, and traveler-friendly place to visit. Its numerous micro-climates, forests, stellar hiking, and rich Mayan heritage are, unfortunately, often overshadowed by its reputation for crime. Like anywhere one travels to, one should certainly exercise caution, stay alert and be vigilant and street-smart in Guatemala. I’d say we did all of the above, and perhaps that’s why we experienced no troubles in this area! 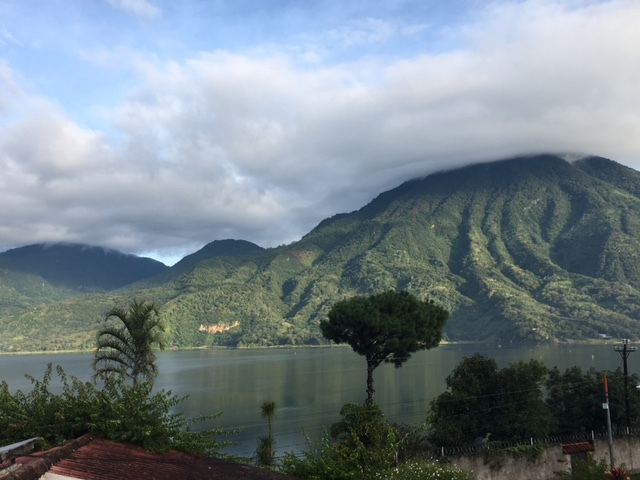 In both Antigua and Lake Atitlan we found numerous artisan cooperatives. Weaving (back-strap) or textiles, coffee, chocolate, and herbal remedies are just a few examples of the types of enterprises one can find there. Run by women from various indigenous groups, these cooperatives not only produce beautiful examples of Mayan and Guatemalan culture and natural resources, they are symbols of the resilience of the Guatemalan people and an act of cultural preservation. 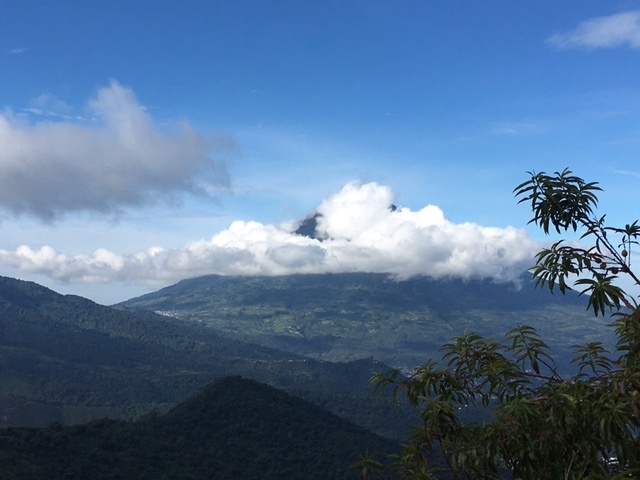 The needs and challenges in Guatemala, however, are significant. 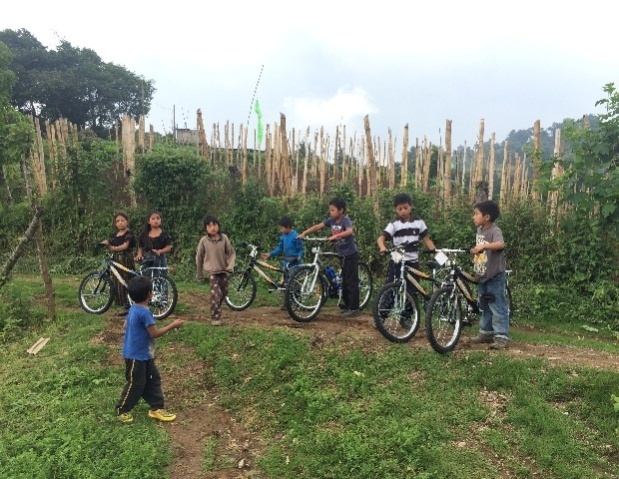 While we were there, we heard about many non-profits working to improve daily life for Guatemalans. Here we will share two we had the opportunity to visit. Safe Passage, is a non-profit that focuses on providing education, health care and other programming to some of the 60,000 children and families who work in and around the city’s dump. Watching Leslie Iwerk’s moving documentary, “Recycled Life” about Guatemala City’s toxic landfill and Safe Passage’s work convinced us to check it out. Leaving at 5 am from our cozy mountain lodge, we happily arrived at Safe Passage where we learned about the history of the founder, Hanley Denning, a native Mainer. In 1999, a friend brought her to see the dump and slums surrounding it. People who couldn’t find steady work would go to the landfill to collect materials to sell for recycling. As big trucks barreled in and out, methane and toxic substances were everywhere, and the workers’ children were exposed to all of it. Hanley felt driven to create a safe place where the children could be children, meaning that they have a safe place to play, learn, eat healthy food and be treated with dignity. She accomplished her dream when she founded Safe Passage later that year. Though Hanley tragically died in a traffic accident in 2007, her vision lives on. Today, Safe Passage serves 500 individuals a year! On our tour, we had an armed bodyguard with us, in addition to our driver and tour guide. Our first stop was the landfill. As vultures swooped in and out, we stood on a precipice in a city cemetery to see the landfill and learn about everything that goes into it, from toxic hospital waste to household garbage. Most of Safe Passage’s students live in cramped, squalid and unsanitary, makeshift houses that their families build using materials they find. There is no running water or electricity. Many of the parents are illiterate. Today, Safe Passage’s campus includes three schools, a community center and an office building. It provides health care, dental care, character education, an expansive well-rounded education, healthy meals and much more. In their schools, committed, certified, local teachers practice a Montessori-style pedagogy. 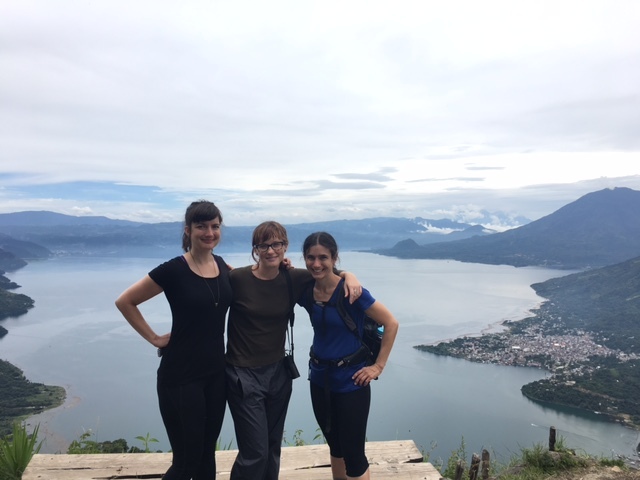 An Expeditionary Learning curriculum is offered as an alternative approach to the style of education offered in most schools in Guatemala, where the focus is on rote learning and memorization. Teachers at Safe Passage offer care, hope, skills and spark curiosity. In stark contrast to the dump, the courtyards at the schools are thoughtfully designed, meticulously kept and full of flowers and colorful murals. Students are also provided with the essentials they need to attend school: uniforms, school supplies, toothbrushes, toothpaste, and social services. Safe Passage continues to support their students after graduation by paying tuition at a public or private high schools (both cost money) and by providing a variety of support services including tutoring and job fairs. Parents and grandparents also get support in the form of workshops, literacy lessons, education and community fairs. Visiting Safe Passage (and the library in particular) hit a nerve. It was impossible not to compare the experiences of the children who live in or near the dump to the experiences of the children who attend our independent schools. So much of what we take for granted is non-existent for the children of Safe Passage: access to quality, new books, teaching supplies, databases and general safety. Despite the dramatic differences in resources, the vibe of the classrooms throughout Safe Passage felt very familiar: lots of learning, group work, joy and colorful art work. It was clear that the founder’s vision to create a space where “children could just be children” had become a reality. Safe Passage’s library made us see how the AISL community could potentially contribute. Librarian Jessica Marchina gave up an hour to talk with us about the library, which currently holds about 4,000 volumes. As trained and experienced school librarians, we could get a group together to help out with cataloging, processing and even collection development. As connectors, we could potentially inspire other schools to host book drives to boost both Safe Passage’s library and classroom collections. A little goes a long way in Guatemala City! HOST A BOOK DRIVE and collect books in Spanish (preferable not translated) for children ages 12 – 17 (this is the age-range they are in most in need of.) Ship the books to their office in Maine at 81 Bridge St # 104, Yarmouth, ME 04096. Volunteers will bring the books in their suitcases because Guatemala currently has no public postal service and private companies can take three months to arrive! FORM A SUPPORT TEAM FOR A COMMUNITY SERVICE TRIP with your school’s community service director/coordinator to bring a high school group. Volunteers must be at least 15 years old. SPONSOR A CHILD OR MOTHER OR A CLASSROOM by holding a fundraiser. ORGANIZE A GROUP OF LIBRARIANS to volunteer in the library and assist with cataloging. Email Safe Passage at volunteers@safepassage.org for more information. Now we know we are preaching to the choir but quality literature offers us more than just knowledge; it encourages imagination and a respect for a variety of points of views and it gives us a broader sense of the world and the options it holds. Your donation of time, effort, books or money could provide these students with hope and change their lives. Laura Bishop has been “librarian-ing” for thirteen years now. Previously she was a Senior Children’s Librarian for The New York Public Library, and the Middle and Upper School Librarian at Léman Manhattan Preparatory School. Laura is currently in her fourth year as the Director of the Library and Media Center at The Hun School of Princeton, where she is fortunate to activate her passions for social justice, travel, and cultural competency work through the Cultural Competency Committee, advisement of the gender equity group, and chaperoning global immersion trips abroad. For 23 years, the Horace Mann School in the Bronx, NY, has hosted our Book Day, a day each spring when the school community — students, faculty, parents, and alumni — along with a host of guest speakers turn our attention to exploring the issues and themes raised in a single book. Classes in our Upper Division for our 740 students and 150 faculty members are cancelled for the day so that students and faculty can give their full attention to the day’s proceedings. The day is an exploration of one work through interdisciplinary workshops, discussions, art and theater pieces, and larger assemblies. This year the school is tackling the very raw emotions and personal narrative in Ta-Nehisi Coates’ Between the World and Me. Books in recent years have included Chris Bojhalian’s novel of the Armenian Genocide, The Sandcastle Girls; E.L. Doctorow’s The March; Rebecca Skloot’s The Immortal Life of Henrietta Lacks, and Oliver Sacks’ work, The Man Who Mistook His Wife for a Hat. All of the students in the Upper Division have read Coates’ book and teachers have been incorporating the title into their curriculum throughout the year. In several of the past Book Days we were able to invite the author of the selection to join us for the day. Last year, Chris Bohjalian, along with the director of the upcoming movie of “The Sandcastle Girls,” joined us for the whole day to discuss the Armenian Genocide and other genocides in the 20th and 21st centuries. In 2009 Ann Patchett joined us to discuss her novel Bel Canto and started us off on a day-long adventure exploring terrorism, translation, hostage crises, the diplomacy of chess, and a wide variety of other topics. In 2008, E. L. Doctorow joined us for a brilliant exploration of life at the turn of the century in the United States in Ragtime; he was supposed to join us for The March in 2015 but he fell ill and historian Eric Foner stepped in to take his place. In 2007 we read both plays that comprise Angels in America, and we were joined by Tony Kushner as our keynote speaker for the event. In 2004 Tim O’Brien joined us as the keynote speaker for the opening assembly for his book The Things They Carried, and Walter Cronkite and Reuven Frank, former president of NBC Nightly News during the Vietnam War — and both grandparents of students at Horace Mann –, joined us at the closing assembly to discuss the role of the media during war. Book Day consists of an opening assembly at 8:45 in which a student musical or acting piece is followed by a keynote speaker. This year we are being joined by Dr. Jelani Cobb for the keynote address. Dr. Cobb is a regular contributor to The New Yorker and was featured recently in the Academy Award-nominated documentary feature, “The 13th.” The assembly is followed by four breakout sessions, which are 55 minutes in length, with an hour lunch breaking up the day. The workshops run up to the closing assembly at 3:00. This year’s closing assembly will feature an original rap song about Between the World and Me; students in our HM Stomp dance troupe; and one of our own alumni from the Class of 2008 — Chidi Akusobi — reflecting on his American Dream and the journey he has traveled from arriving in the U.S. as a two-year-old from Nigeria through his recent work in epidemiology and infectious diseases. Here is a link to this year’s Book Day — Between the World and Me. And think about how you might be able to bring a program like Book Day to your own school. This year’s AISL Summer Institute, hosted by Horace Mann School, will focus on this idea of “one school, one book.” The dates of the Summer Institute are June 27-29, with the check in on the evening of June 27, followed by two full days of program planning and sessions on the nuts and bolts of putting together a similar type day that makes sense for your school. To register for the Summer Institute, please click on this link. You’ll find the full schedule of the day and what to expect to get from the two days of workshops and discussions. If you have any questions about the Summer Institute, please feel free to email me at Caroline_Bartels@horacemann.org.